Crush the fennel seeds and grate the zest of the lemon, and squeeze the juice. 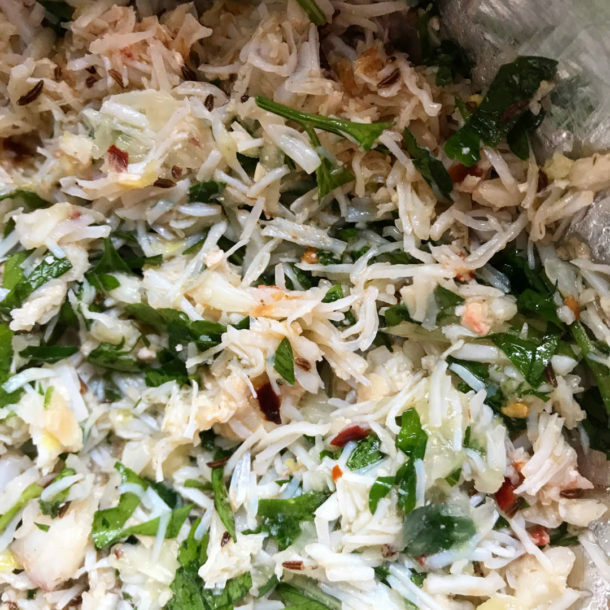 Add the crab, lemon juice and zest, and seasonStir through, just to heat up the crab. Season and serve with a little olive oil. Prepared crab isn't cheap, so I buy little pots of it from the fishmonger or where you see it on offer. I buy it in Cornwall and freeze it. Then make a dish that is simple but will stretch it out. Zingy and hot, this will have you thinking about where to go for your next summer hols.